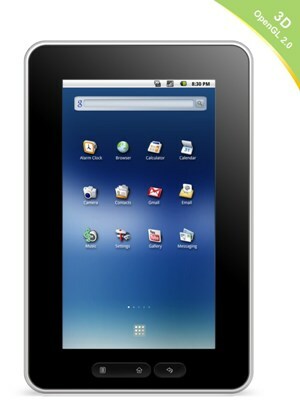 Cherrypal, a company with a colourful reputation, to put it mildly (try searching Google for “cherrypal scam”), has announced a 7″ tablet running Google’s Android operating system. The Cherrypal America, as it’s called, is offered at $188 US, with an additional $18 US shipping, regardless of destination. What are the specs? Well, they vary. For example, they initially stated the wireless would handle 802.11 b/g/(n). What is “(n)”, you may wonder? Is it the same as “n”, absent the comforting braces? According to their support board, the Cherrypal America “can receive “n” wireless signals in “g” speed”. Hmmm. Odd. The Cherrypal America. We're not sure if it exists beyond a picture. The only evidence of the tablet’s existence is a very poor quality youtube video – you can see it here (by the way, mute your speakers before you click the link, because you’ll get blasted by very poor music). Cherrypal Americas are sold via an online outfit called Zecozi, which seems to aspire to be some sort of mash up of a commerce site with a social component, such that one can post one’s purchases for all to see. Funny timing for conspicuous consumption, given the economy and all, but we try not to judge. The support “forum” isn’t actually a forum either: one can post questions, but one cannot reply (it seems only administrators can reply). Of course, there is no attached user guide. The same message appears on Cherrypad’s support site, also claiming a user guide is attached, only there is no attachment or user guide or link or anything else. Does the Cherrypal America exist? We’ll keep you posted if and when we receive ours. 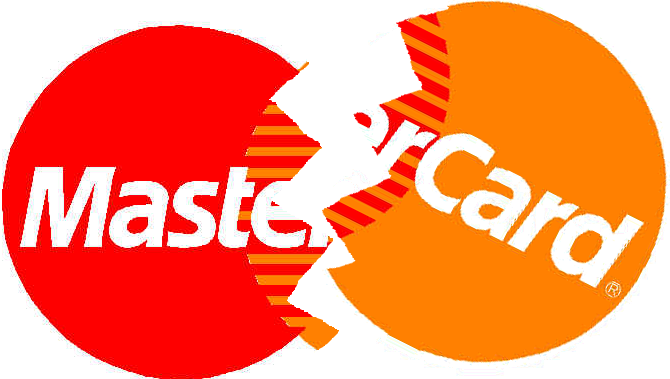 But we strongly recommend against ordering one until there are confirmed units received by paying customers. This appears to us to be either a scam or a profoundly poorly managed operation. We’re hoping for the latter. With mounting concerns about Facebook now sharing user data with third-party sites absent explicit permission from users, more and more people are trying to delete their Facebook accounts. We say “trying” because it’s no easy process – if you simply “deactivate” your account, Facebook retains all your information, pictures, posts, etc. If you no longer wish Facebook to control your data, you need to “delete” your account. Here’s a link to a site that has a simple address you can paste into your browser’s address bar that will take you to the Facebook page which allows you to delete your data – remember, once you do this, do not attempt to log into Facebook for 14 days. We’ve tested your instructions on most of our channel line ups and they all seemed to have 0X00 for their CCI category. So please call our Call Center to speak with a representative for assistance in creating a Novus account to set you up with our services, thank you. We’ll be switching to Novus’ fiber optic offering today. A year and a half ago, Canada’s Shaw Cable began encrypting channels with the “0x02” flag. This flag has the effect of making the IEEE1394 (firewire) output useless to customers who use third party PVRs (such as the excellent MythTV, for example). After complaints to the CRTC and Industry Canada about this practice, the encryption flag was dropped on most channels and the firewire connection again functioned. Until last night, that is. Once again, Shaw Cable has implemented “0x02” encryption. No reason was given for the change, and an inquiry requesting an explanation received the response contained in the letter to below. Unlike the US, Canada does not yet mandate that firewire ports must remain functional. Please see below for prior correspondence – this issue surrounds Shaw Cable’s implementation of “0x02” encryption on cable television signals, which renders IEEE1394 (aka “firewire”) ports useless on set-top cable boxes owned by Shaw’s customers. As of yesterday, this issue has once again appeared: Shaw is encrypting channels customers have paid for (including the CBC) from at least 3 – 60 (except (oddly) channels 36, 46 and 60). There are, no doubt more channels encrypted; I simply stopped checking at channel 60. Here’s why this is an issue for Industry Canada (as previously outlined below): in order to use a PVR other than Shaw’s to record programs (and, specifically, HD programs), the IEEE1394 output is required. When Shaw remotely disables this function via 0x02 encryption, only Shaw’s proprietary PVRs can be used. This not only eliminates any competition and stifles innovation in the PVR market, in the process it creates a monopoly for Shaw’s PVR products. There’s another issue here: disabling the functionality of something a customer owns is akin to a Shaw representative physically taking a hammer to the IEEE1394 output plug – it has an identical effect, in that in both instances, something a customer owns and has paid good money for has been functionally impaired by Shaw. The US legislators have keenly understood the need to keep the competitive landscape open for third party PVRs and other technological innovations. As much as I’m philosophically opposed to regulatory interference in trade, I’m more strongly opposed to monopolistic trade practices, and that is what we have here. “As per our previous emails, we do not provide any support for the use of the Firewire port on any of our digital tuners. This delightfully sidesteps the issue entirely: it is not “support” for firewire that’s necessary. Rather what the issue is about is not actively impairing firewire signals. There’s no “support” necessary – by default, the set-top boxes allow the signal to pass unimpeded through the firewire output. It is a feature customers (like me) specifically bought these units for. Many thanks in advance for your help, and I look forward to hearing from you. 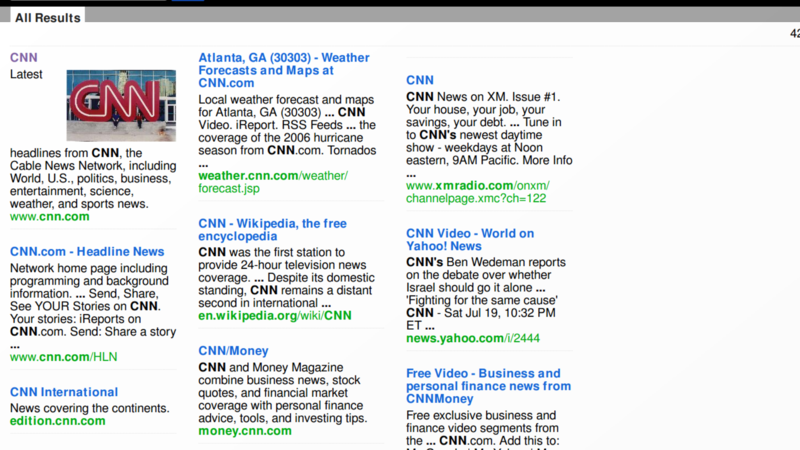 A search for "cnn" brings up the expected results. Relevance slightly better than Cuil. No problems here: "cuil.com" is the first result returned in a search for "cuil". And we love the completely irrelevant picture, a la ALL the Cuil results - well done! There we are, front and center - perfect! Finally, the test that got Cuil on our blacklist: can we access page two of the search results? 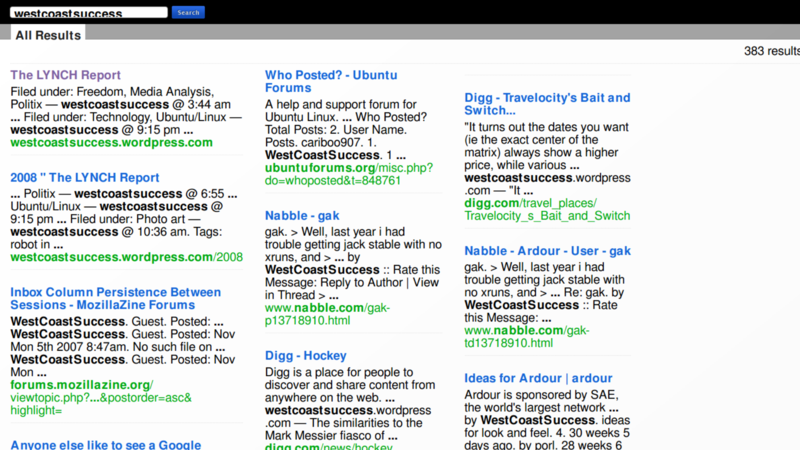 A second page of search results! $33 million in venture capital couldn't accomplish that on Cuil! Cuil's homepage: we love the look and feel. There’s been a lot of hype recently about cuil.com (which, we’re repeatedly told, is pronounced, “cool” (but which we can’t stop pronouncing “kweel”)), the new search site put together by a former Google employee, her husband and a couple of former Google engineers, among others. The hype includes claims that Cuil boasts a larger index of sites than Google, has a smarter, more human-like understanding of what you’re really looking for and is generally kweeler…er…cooler than Google. We decided to see what $33 million of venture capital gets you in the way of a search engine. We like the look of Cuil’s homepage. In keeping with the fundamentals of the Google aesthetic, the site’s designers have gone for a minimalist approach. 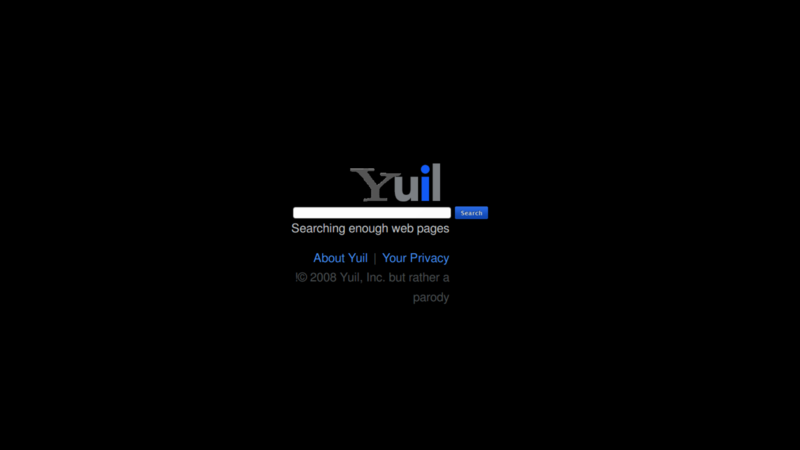 However, completely unlike Google’s classic home page, the Cuil site confronts a visitor with a dark, black background: about as far from Google’s vibe as one can get. They’re certainly making a statement with their theme, and it works: Cuil’s designers have somehow made the interface feel like Google and the anti-Google all at once. This is the one area where, all other things being equal, Cuil really does have a chance of living up to the “Google-killer” label. Google has made some mis-steps on the privacy front of late – witness the Viacom et al v.You Tube lawsuit, wherein a judge, clearly out of his technological depth, ordered You Tube to turn over data which included information which could potentially identify individual visitors to You Tube and what those visitors watched. Rather than throw their mammoth resources into fighting the ruling tooth and nail (their business model, after all, is based on users’ trust), Google instead chose to negotiate a deal with Viacom that would prevent the personally identifiable part of the data from being turned over to Viacom, in the process establishing the judge’s order as a precedent for future cases. Cuil makes the whole scenario a moot point by not keeping personally identifiable data in the first place – it’s discarded immediately upon creation. The net effect (pardon the pun) is that there is no personally identifiable user data to turn over, regardless of the whims of any judge. That’s first-rate, and something we’d like to see become the de facto standard among websites. It also trumps Google’s “Do No Evil” creed-turned-slogan. If you’re anything like us (and the overwhelming majority of people, in this case, are), you rarely visit search results beyond the first page: if the first batch of results don’t contain what you’re looking for, it’s time to modify your search words, toss in some quotation marks, etc. We mention this by way of getting to this point: we don’t really care if a site has 120 billion pages indexed if the site we’re really looking for is the 120 billionth result. We need results fast and accurate, or we’re leaving. As such, we decided to test some obvious searches, some less obvious search terms and some local search terms we use all the time. We also, for amusement’s sake, searched “cuil” and “google” on each site. Then we searched for the Lynch report (this time for vanity’s sake). Firstly, we tried “cnn”. Cuil returns about exactly the results you expect, and we really like the tabs along the top which take you to related searches – they’re a great idea and one we’re surprised didn’t occur to Google. Cuil also returns the same related search suggestions on a panel titled “Categories” to the right of the search results, and the headings reveal additional sub-headings upon a mouse-over. Pretty good stuff, and in a much nicer, more sophisticated layout and design than Google. So far, so good. 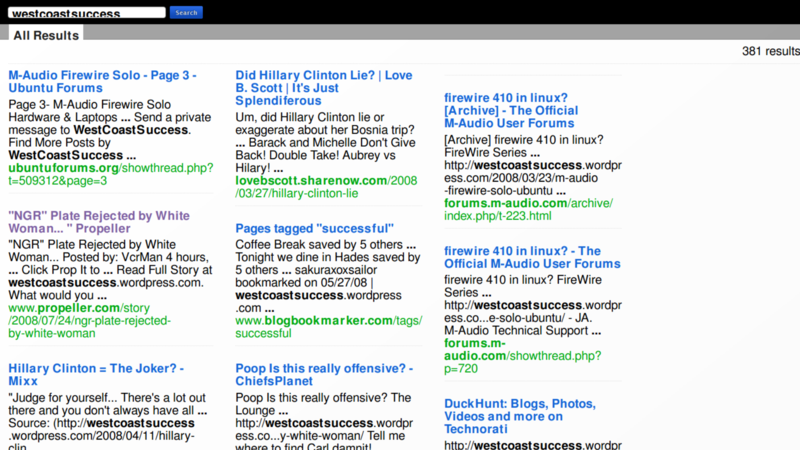 Related searches appear in tabs along the top, a la Firefox, which is great. A "Categories" box dupicates the tabs, and expands to show sub-categories upon mouse-over. Next we tried “guns n roses”. Again, Cuil impressed. The search suggestion box is great, showing related searches for Band Members, Songs, Lyrics, etc., all mirrored on the convenient tabs along the top. Perfect. "cuil.com" is not a relevant result of a search for "cuil" on Cuil! Then we tried searching for “cuil”, and that’s when things really started going off the rails for the new site. Cuil doesn’t return a result for their own page in the first page of results! 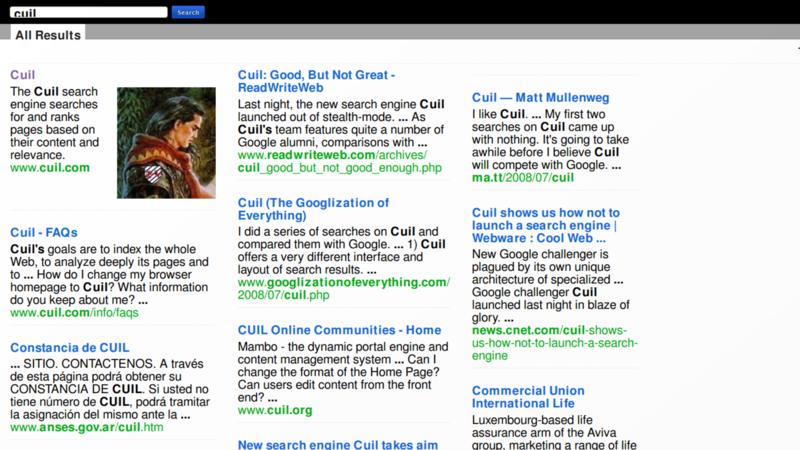 On Google, meanwhile, “cuil” returns “cuil.com” as its first result. That got us laughing, so we decided to see how many pages deep we’d have to go on Cuil before we found their site – maybe Cuil figures you wouldn’t be looking for their site if you were actually on their site already. a typo. Please check your spelling. your search includes a term that is very rare. Try to find a more common substitute. too many search terms. Please try fewer terms. Finally, try to think of different words to describe your search. The second page of search results typically returns this error message. We encountered the same scenario for all the subsequent searches we tried: we couldn’t get past the first page of results. Next we tried two search terms for the site you’re currently viewing: “the lynch report” and ‘westcoastsuccess”. Neither search term brought up our site on the first page of results. Now we were getting downright irate – Google’s never treated us like this! One more test: we get all our computer parts from New Type Computer Workshop – a great little hole-in-the-wall computer supplies/parts store down in Yaletown. We tried “ntcw” (their site is ntcw.com): no luck on the first page and second page returns the usual (by this point) error. 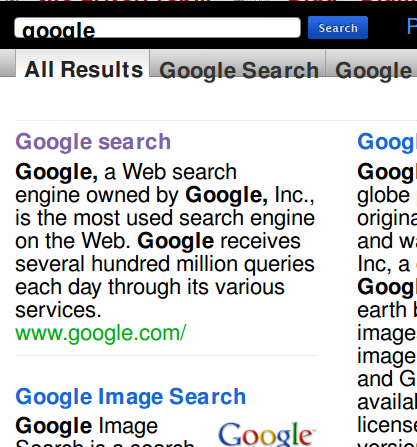 “ntcw.com” is the first result returned by Google. We also tried “new type computer workshop” but couldn’t even get the first page of results this time. 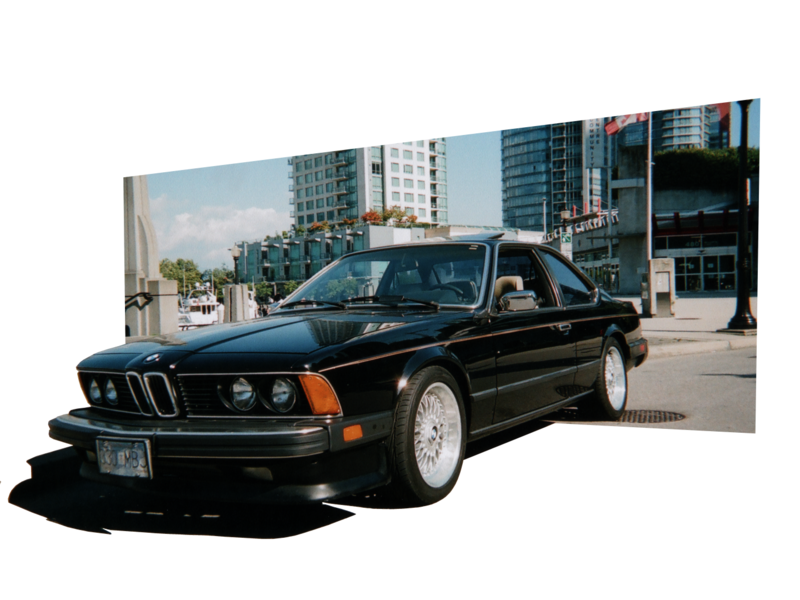 Craigslist, with its bbs-inspired aesthetic, is a great site for finding things locally; we use it all the time. However there are times when it would be great to be able to search all the individual Craigslist sites at once. This is particularly true when trying to find rare, antique or otherwise obscure items (for example a Ferrrai 246, or just the right wheels for our vintage BMW 6 Series). Since Craigslist is based on a local model, manually searching the globe via Craigslist would entail searching thousands of sites individually. We present a double shortcut today: a Firefox keyword search that lets you search every Craigslist site by entering just two letters in your address bar plus the item you’re searching for. 1) Open a new tab or browser window. That’s the Internet Movie Database site. Right click in the search box and select "Add a Keyword for this Search..."
4) In the box that appears, type “imdb” (without the quotation marks) in both fields. The first field is the name you’ll be saving this keyword as; the second field is the actual shortcut. Click the “Add” button. Type "imdb" in both fields. 5) Now go to your address bar and type “imdb dark knight” (again, without the quotation marks) and hit enter. 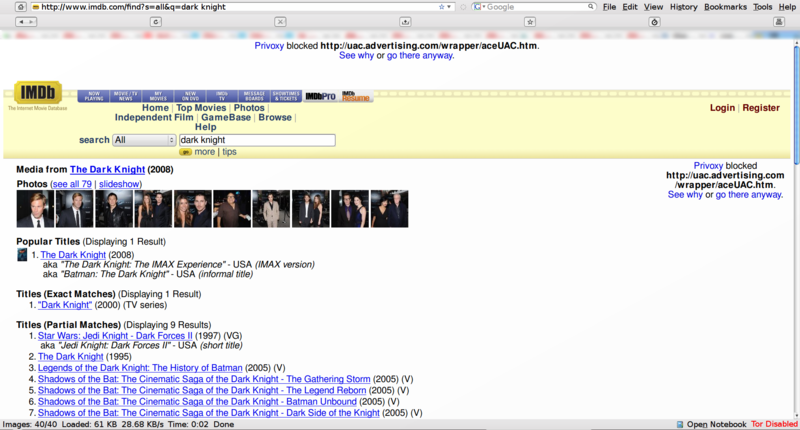 You’ll be taken to the Internet Movie Database’s results page for a Dark Knight search. 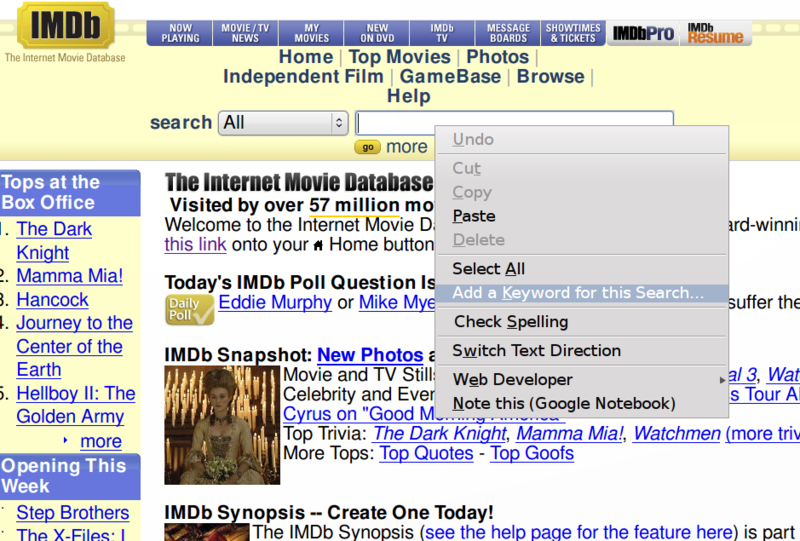 Try typing "imdb dark knight" into the address bar. Keyword result: imdb.com's search results. Now, anytime you want to search for a movie, you need only enter “imdb” into your address bar, followed by a space and the name of the movie – you’ll get the same result as if you’d visited imdb.com and entered the name of the movie in imdb.com’s search bar. This works with any site and is a great time saver. OK, time for part II: a global Craigslist search with a keyword. 2) In the search field, right click and select “Add Keyword for this Search…”. 3) In the Name field, enter “Craigslist” (no quotations). 4) In the Keyword field, enter “cl” (again, no quotation marks). Click the “Add” button. 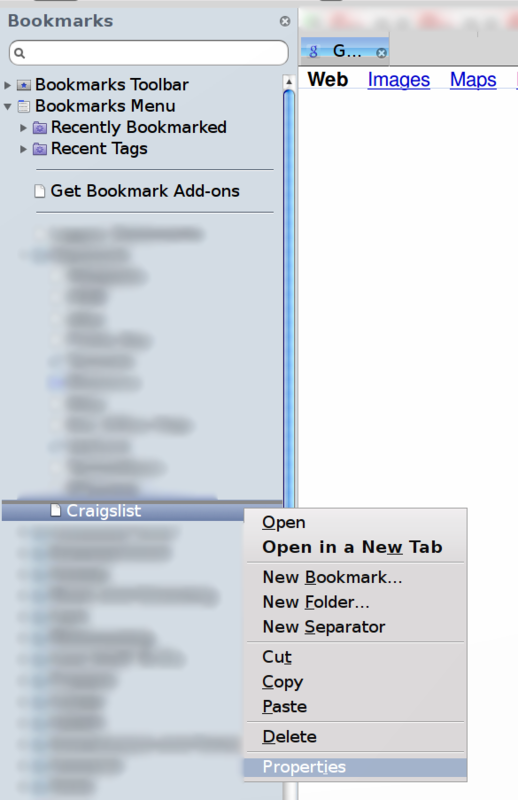 5) Open your bookmarks and right click on your “Craigslist” bookmark. Select “Properties”. 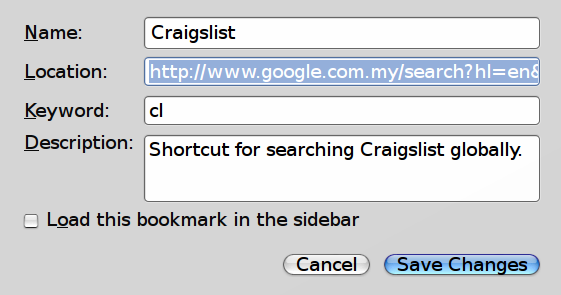 Right click your Craigslist bookmark and select "Properties". Not to be ridiculously repetitive, but no quotation marks please! Adding our global Craigslist search parameters. From now on, whenever you want to search all the Craigslist sites in existence for an item, simply enter “cl” followed by a space, followed by the name of the item you’re looking for. 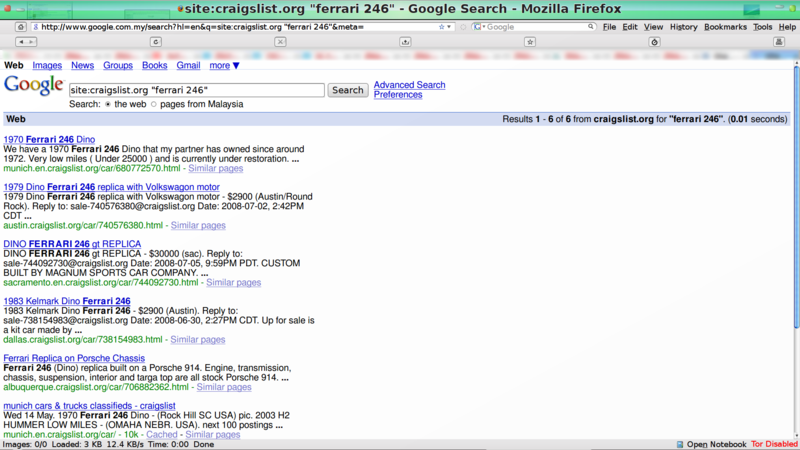 Searching all Craigslist sites for a Ferrari 246. The perfect wheels for our vintage 6 Series - thanks, Craigslist Nashville!